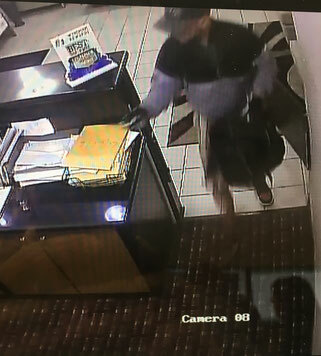 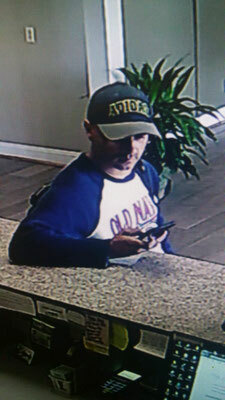 UPDATE: CPSO detectives received information which leads them to believe the suspect in the armed robbery at the Super 8 Motel in Lake Charles on September 28 also committed an armed robbery of a motel in Opelousas, LA. 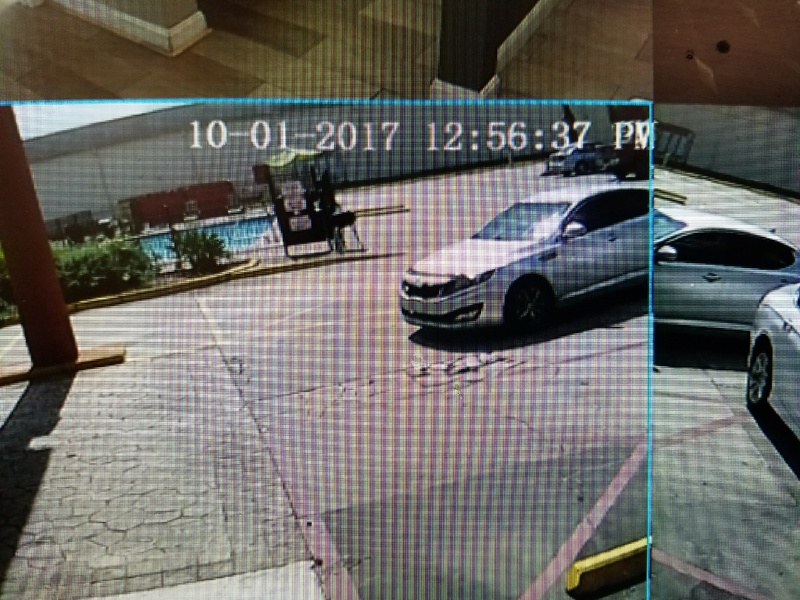 on October 1. 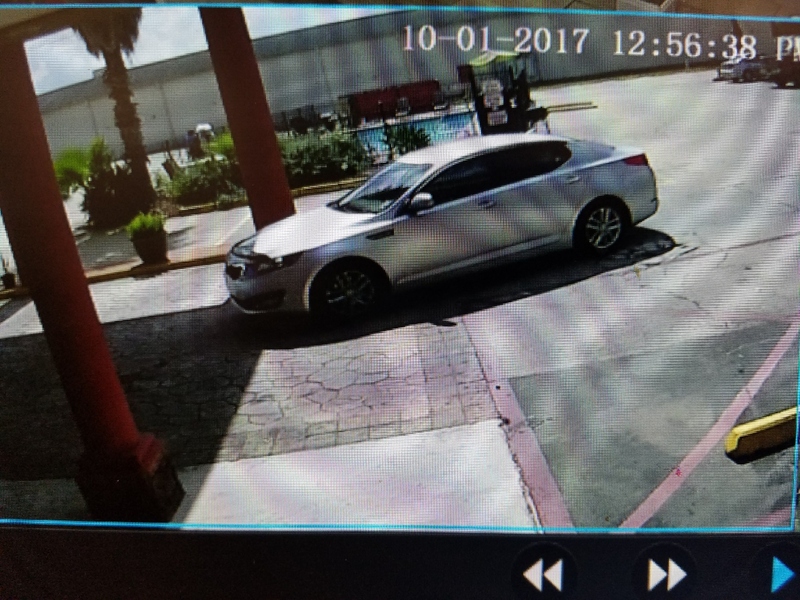 Attached are clearer photographs of the suspect and car sent to us by the Opelousas Police Department. 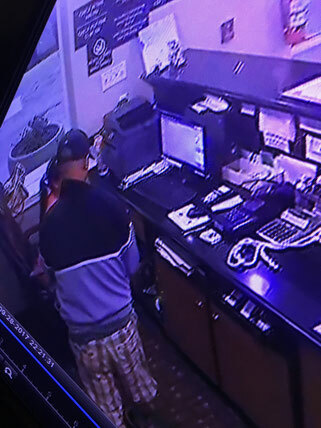 On Thursday, September 28 at approximately 9:45 p.m., the Calcasieu Parish Sheriff’s Office received a call from the Super 8 Motel located on N. Martin Luther King Highway in Lake Charles in reference to an armed robbery. 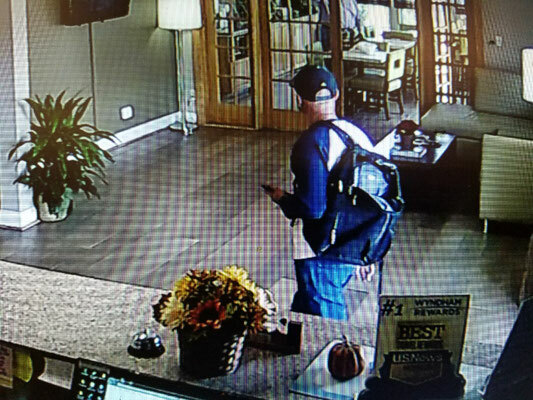 The preliminary investigation revealed the suspect entered the front lobby with a knife and demanded the attendant open the money drawer. 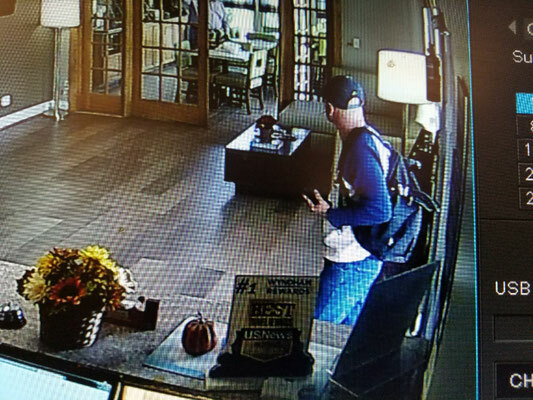 The suspect stole an undisclosed amount of cash from the drawer and fled in what detectives believe to be a silver Kia Optima. 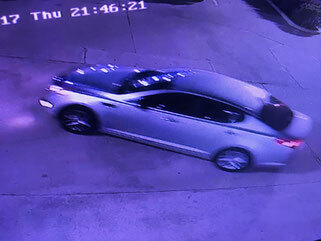 If anyone has any information regarding this robbery or can identify the suspect or car seen in the photographs, please call CPSO lead detective Roland Jones at 431-8015 and leave a message if he is unable to answer the phone, or call Crimestoppers at 439-2222.